Theatre for (Japanese) Kabuki performances. Also used for cinema screenings. Front Text: "The Dairen Kabuki Theatre. 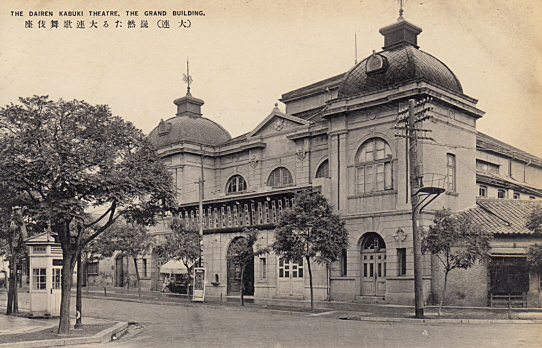 The Grand Building."